Tour operators and meeting planning professionals are very busy individuals. They scan magazines (if they have time to open them at all), they receive numerous direct mail solicitations a day, and an increasing amount of unsolicited email they consider spam. So, how do you penetrate this market? How do you know if your message is getting through? What’s the best marketing mix to get your message out and ensure it’s read? 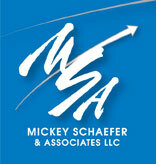 "2012 Industry's 25 Most Influential"
- Successful Meetings magazine Mickey Schaefer, Mickey Schaefer & Associates. A veteran of the meetings industry for over 30 years, Schaefer has a long list of accomplishments over that period, not least of which was the instrumental role she played in the development of APEX, one of the first industry attempts to standardize practices in the meetings industry. But her inclusion on this list isn't for what she's done in the past — it's for what she's doing right now. Specifically, the Certified Tourism Ambassador Program she heads. It is a certification program that trains front-line hospitality employees and volunteers to work together to improve the visitor experience at destinations. To date, over 100 CVBs and DMOs have adopted the program and thousands of hospitality employees have been certified.